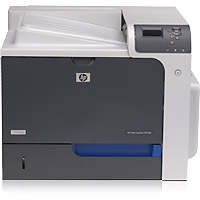 If you’re looking for a sale on HP Color LaserJet CP4525xh toner, then you’ve come to the right place. 1ink.com has the highest quality remanufactured HP toner cartridges at the lowest prices. We use high-quality materials to reengineer each cartridge here in the United States, and we use strict quality-control methods to protect your purchase and make sure that you only get functional, high-quality products. Each cartridge performs just like an original equipment manufacturer (OEM) product, too. You’ll still get the same 8,500 page print yield from our black remanufactured HP 647A toner and the same 11,000 page print yield from our cyan, magenta, and yellow remanufactured HP 648A toner cartridges. Finding affordable toner isn’t difficult when you know where to look. 1ink.com’s toner for HP Color LaserJet CP4525xh printers delivers the incredible print quality and color capabilities your business depends on. These cartridges are safe to use in your printer, they install easily, and they’re guaranteed to meet your expectations. You’ll always find the best toner for the lowest prices here at 1ink.com.